How can you prevent and report drug administration errors? When administering drugs to another person, you have a duty to ensure that you are fit enough and competent enough to do so. Fatigue is a common cause of medical errors - along with unreadable handwriting from doctors, distractions and being overworked. A medical error can be defined as a "failure in the treatment process that leads to or has the potential to lead to, harm to the patient" (J.K. Aronson). 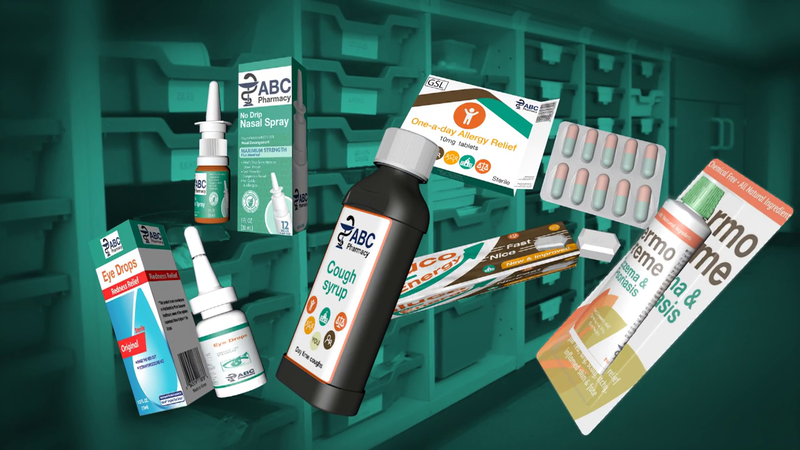 It is important to ensure that when patients are receiving medication that the utmost care is taken when measuring and administering to prevent any errors. In the, hopefully rare, case that something does go wrong, it’s important that there are proper procedures for reporting the error - this helps you, and others, learn to avoid those errors in the future. What is a Drug Error? Drug errors are any miscalculation of dosage; whether that’s the wrong amount of medication given as an under or overdose, or whether a drug is given too frequently, doubling up a dose, or too infrequently, causing the effect to wear off completely. Drug errors happen for many different reasons - sometimes it is carelessness but often there are other factors involved, for example improper record keeping, exhaustion, distraction, even deliberate tampering. Right Person - Is the person you’re giving medication to the person named on the prescription label? Right Medicine - Some medicines have very similar names and some will be known by their brand name, make sure it’s the right one. Right Dose - Every medication will need to be given in different amounts to different people, make sure you give the right amount. Right Time - If you give two doses of medication too close together it can lead to an overdose, too far apart and the effect may wear off. Right Route - Medication can be delivered in many different ways - orally, topically, inhaled, suppository etc. - make sure you get it right. Right to refuse - You should never force another person to take medication against their will, if they refuse you can’t make them. Remembering the Six Rights of Administration will help you avoid medical errors. Badly written and verbal drug prescriptions should not be used when giving drugs to people and only documented prescriptions should be used. If everyone follows the same procedure, drug errors can be seriously reduced. While computer prescriptions are a way to reduce errors such as unreadable handwriting and loss of prescriptions, not all GPs are equipped with the system. Higher risk drugs should be closely monitored, everyone involved in handling and administering them should have the correct training and all equipment should be well maintained. Drugs should be monitored closely to ensure that they don’t go past their expiry date. There should also be procedures in place for disposing of them properly if they are. Remember, flushing drugs into the sewer system or putting them in the dustbin is a criminal offence. Documentation of medication and treatment should always be kept with the person in question - whether they change Care environment, go on school trips, or go to hospital. Care should continue as normal and all drugs should be ready for administration. If you make a mistake in any aspect of administering medication, be honest. Mistakes can be costly and they can only be corrected if you are truthful. Additionally, if unsure, you should always double check with a fully qualified colleague. You should be aware of any drugs that people can/cannot take alongside the ones that they are already on, as well as possible side effects. Fear is often the cause of people feeling like they can't confess to drug errors. Whether it is fear of punishment by superiors or the reaction of colleagues, it is believed that there are actually far more drug errors than those reported. But it is important to identify mistake immediately so that they can be rectified immediately. If you make a mistake, it’s important to learn from it. Talk to superiors, registered nurser or school nurses, health visitors or GPs - whoever is available for you to have a discussion with. As well as actual drug errors, near misses must also be recorded. By recording these near misses, changes can be made and prevent the same mistake from happening again. Communication, vigilance and an attention to detail are essential for administering drugs. It’s a big responsibility and it is essential to always pay due care and attention to the task at hand. It is important to always prevent drug errors, but if an error does occur, it must be reported immediately and accurately to reduce the chance of it happening again.